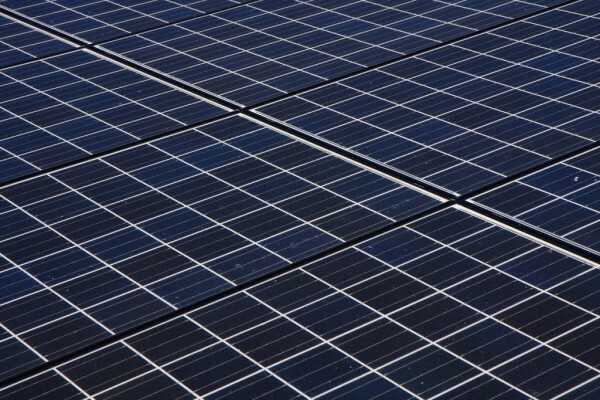 TYNSOLAR Corp., a manufacturer of PV modules and cells based in Taiwan, stated on 30 October that it will cut around 120 workers as part of its restructuring process. The layoff is another major dose of bad news for the company in the recent period. In early October, TYNSOLAR was fined TWD 57.52 million by Taiwan’s Ministry of Finance for five separate violations of the import/export law that had occurred in 2013. 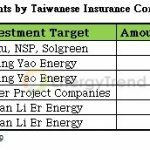 The layoff at TYNSOLAR is also the latest example of the wider cutback of the workforce in Taiwan’s solar industry. Before TYNSOLAR’s announcement, several other local manufacturers of PV products had already reduced the number of their employees so as to lower labor cost. These companies include Motech Industries Inc., Green Energy Technology Inc. (GET), and TSEC Corp.
TYNSOLAR said that the layoff, which affects both domestic and foreign workers employed by the company, is to improve its operational performances and raise its competitiveness within the industry. 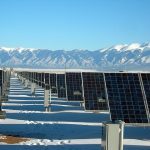 Furthermore, the layoff is part of the company’s broader plan to transform itself from a manufacturer of PV cells and modules into a manufacturer of integrated PV systems. The implementation of the plan began as early as the third quarter of 2017. Moreover, TYNSOLAR emphasizes that the changes to its operation will be phased in gradually. As for the 120 or so employees that will be given the pink slip, the company assures the public that their rights will be protected in accordance with the local labor code. Besides giving the layoff notice, TYNSOLAR’s statement on 30 October also addressed the penalty imposed by the Ministry of Finance for five separate trade deals that breached the import/export law during October-November 2013. The company stated that it is asking the ministry to review the TWD 57.52 million fine and provisional attachment. Furthermore, the company intends to apply for the cancellation of the provisional attachment and will offer other collaterals as an alternative to the lock-down on corporate assets. The amount that is being affected by the legal proceeding now totals around TWD 115 million. The supply-demand relations in the solar PV market as a whole has been in an imbalance for a while, and China’s “531 Policy” (i.e. revisions to FiT rates and capacity quotas) that was enacted in the middle of this year has aggravated the situation. As demand and prices plummet, manufacturers in Taiwan are exploring all available options to help them survive the downturn. Scaling back the production capacity and rearrange the workforce are the usual methods for manufacturers to minimize their losses. Other strategies include diversifying business operations and expanding into the downstream markets (e.g. system integration). Among Taiwan’s solar enterprises that are undergoing restructuring, cell maker Motech closed down its solar wafer production plant located in the Southern Taiwan Science Park in June and then slashed 300 contract jobs for foreign nationals in September. The company also plans to trim off 2% of its domestic workforce. As for GET, it adjusted the work schedule of its employees at the end of May. According to GET’s statement at the time, some of its line workers would have to take two days off for every two work days. However, GET later reported that the company’s loss grew larger in the second quarter due to inventory-related issues. At the end of September, GET revealed a round of layoff that will affect approximately 203 employees working for the company in the Southern Taiwan Science Park. TSEC, too, said it will lay off 280 workers by the end of this year in order to mitigate the impact of the recent slump in the international solar market. This news broke just two weeks before TYNSOLAR’s announcement. In the context of continuing market challenges, more solar enterprises are expected to soon begin rationalizing their labor forces.